Dreamzone’s Vibes 360° Is Back! It Will Be Nothing Less Than Extraordinary! DreamZone's Vibes 3600 is Back! It Will Be Nothing Less Than Extraordinary! Connecting Upcoming Designers with Industry Experts! A confluence of beauty, fashion and everything in between is another name for DreamZone's fashion show "Vibes 360°," a flagship fashion pageant. After creating a trend setting runway magic to the glamorous style statements in every passing season, the re-launch of Vibes 360° is again going to bring in the best groundbreaking styles. The extravaganza fashion banquet is going to encourage the collections of DreamZone's students. Vibes 360° will witness eminent personalities in the judgment panel and a list of professional models promoting the wonderful theme based creations of young and new talent. There will be exciting prizes for the winning teams as well as the runner-up teams. Find the season's most coveted designers coming under one roof and bringing their magic with styles, making the fashion show nothing less than a splendor + innovative driven space. This is Vibes 360°! 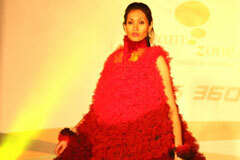 Bangalore Fashion week (BFW) is listed amongst India's premier fashion and trade platform. BFW is known for revolutionizing the fashion industry and experiencing the best names of fraternity and witnessing creativity. DreamZone centres from around the country have been participating in BFW since 2014. As a prominent Educational Partner, the school exposes 40+ designers that are multifaceted with a broad-based education in Fashion Designing. 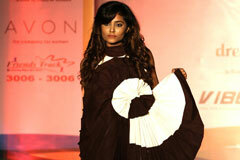 DreamZone in collaboration with BFW is providing students with unparalleled access to the fashion industry. This way it motivates students to display their unique fashion creations adjoining the great international repute. 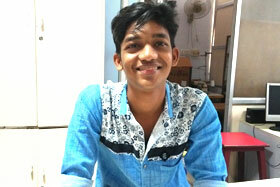 DreamZone aims to take Fashion and Design education to the common man. Thus, it prepares students to attain excellence by providing premier platforms like Bangalore Fashion Week that foster career, creativity and brings them access to a global perspective. Firstly, students require sketching their imaginative design and getting the creations approved by BFW. Once the design is approved, the next step is to get the garments created. With the garments ready in-hand, next stage calls for coordinating them with the right accessories. The last and final stage is to synchronize the garments & accessories and, be ready to showcase through the ramp. 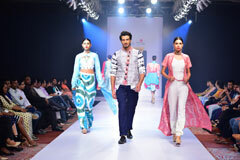 The event not only promises to bring unique collections but BFW creates grounds to which designers get the latest and trendiest. Together the community (DreamZone and Bangalore Fashion Week) is identifying keys to shaping fashion industry, make sustainable networks and help enable the emerging designers to retain economic, educational, and social goals. 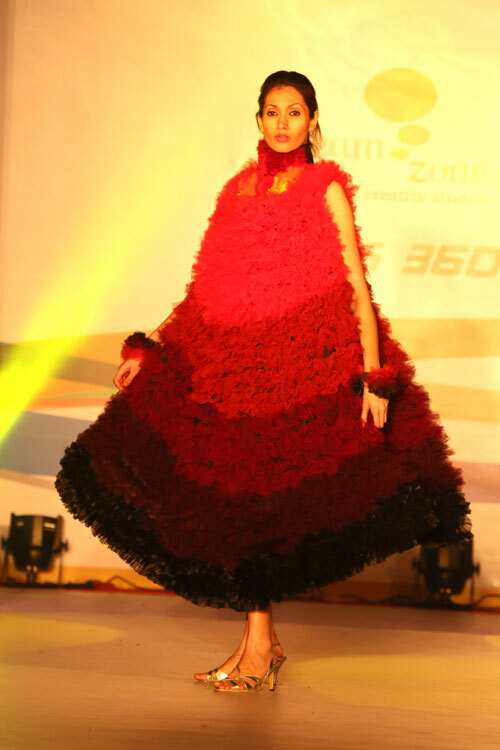 Experience the most promising platform for fashion designers followed by the registration. Nervous but Proud It was my very first experience with being on stage as a designer. I felt very nervous but I was proud to be one among some very big designers. Thrilling Event I learnt a lot about the work that goes in the backstage. Met some great models and designers; helps you get contacts and also learn how business is done. Great Experience It was an amazing opportunity to get inspired by many talented designers. Those 7 days thought me so much.